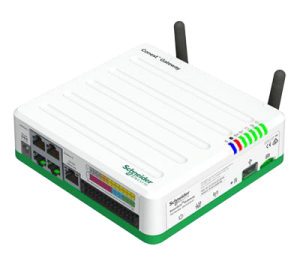 The new ConextTM Gateway from Schneider Electric provides local system configuration and management as well as live system monitoring for the ConextTM range of solar products. To accelerate the installation and system setup process, the ConextTM Gateway offers wireless connectivity along with more intuitive configuration and system management tools. To give users better insights into your solar system performance, the ConextTM Gateway’s graphing and reporting interfaces are completely updated. The ConextTM Gateway together with Conext Insight 2 will bring system monitoring and remote management to the cloud.